The Metros Stainless Steel Vertical Wall Mount Mailbox is a simple top-loading wall mount non-locking mailbox which features a front sliding retrieval door for easy mail access. 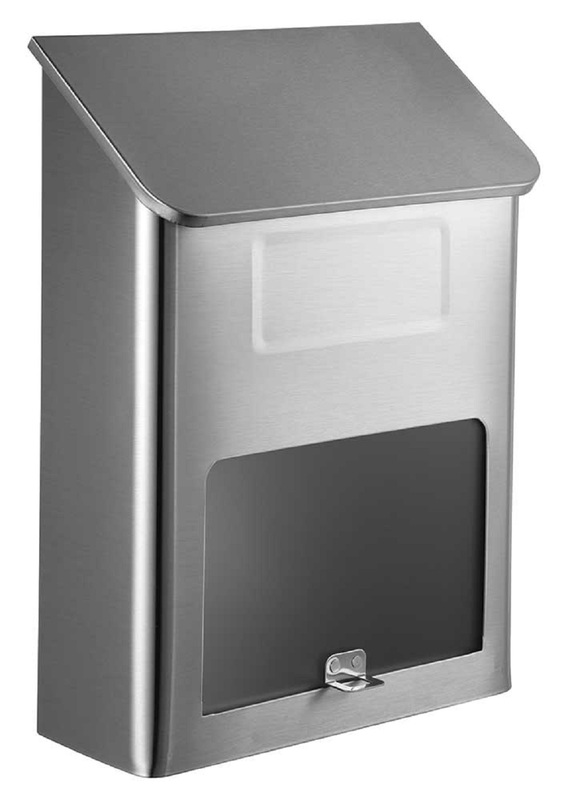 Mailbox is made of stainless steel and has a top lid that covers incoming mail slot. Mail slot opening: 9-3/8" x 3-3/8"
Add street numbers. Call for more information.